i’m trying to draw some line on Google Maps when a window is loaded (without user interaction), but i’m getting “google is not define” from js. This not heppen after some second (widget loaded i assume). I also tested with example offered here, but same problem (attached edit version). 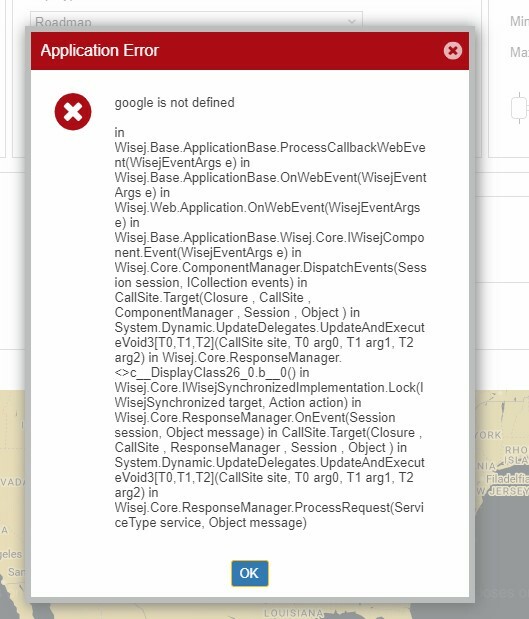 I also read this post, but i’m unable to access to InitScript from Wisej.GoogleMaps to fire a “ready” widget event. This way you don’t have to handle the “initialized” event on the server. The client will simply call the method again when “initialized” is fired. 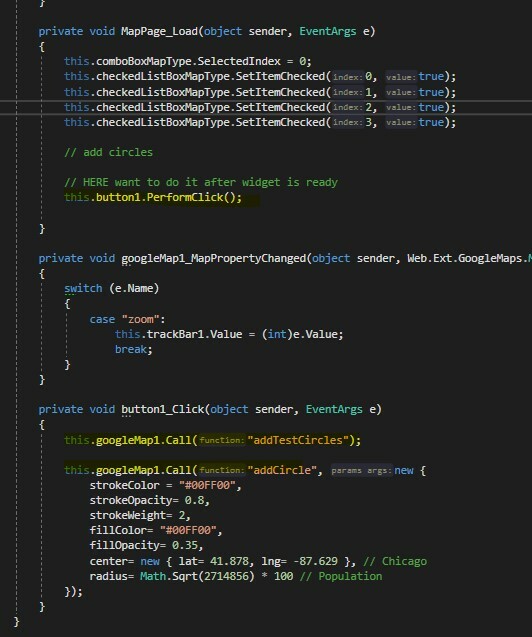 It would be very nice to have this “initialized” event from c#!